It’s tournament time again. Pacific Pinball Museum will soon receive an ACDC Premium Edition pinball game, and to celebrate we are going to hold an all-STERN pinball tournament. Plus a couple classic STERNs to be determined! From SF, take BART to 12th Street. Take the 58A bus to Alameda. If you see Citibank on the left, it’s the next block. If you see Nations on the left, you just passed it. Entry: Entry is free with PPM Admission ($15). There is an optional $10 side pot for those who want to play for cash. Format: Wildcard Format: Play each STERN game one time each. After all games have been played you can replay one game of your choice to try and improve your score*. Top 16 players advance to Open Finals. The next 8 novice players will play in the Novice Finals. *Wildcard game must be played no later than one hour prior to the end of qualifying, i.e. 4:30 pm and not until all other regular qualifying games have been played. Players are responsible for arriving early enough and completing their games on time. 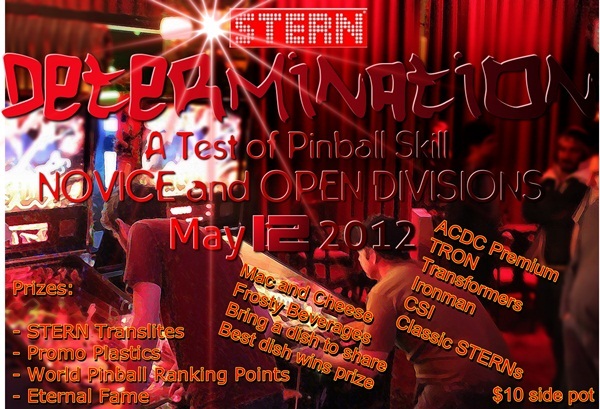 Prizes: STERN has sponsored the event with 10 translites ($100 – 150 value each). Plaques and translites awarded to top 4 in each division. Food: I’m bringing Mac and Cheese and beverages. Bring a homemade dish to share. The best dish, voted by the players, wins a translite. Volunteers: Help with score-keeping or score entry for an hour, and/or game tech, and you’re entered into a drawing for a translite. 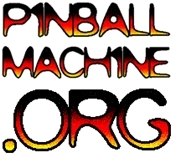 World Pinball Player Ranking Points (aka WPPRs): Points will be awarded. Win or lose, by the end of the night you will be a world-ranked pinball player.